Candy corn is the first thing that comes to mind when I think of Halloween. This treat container is perfect for housing any type of favor you want to pass out to your guests. 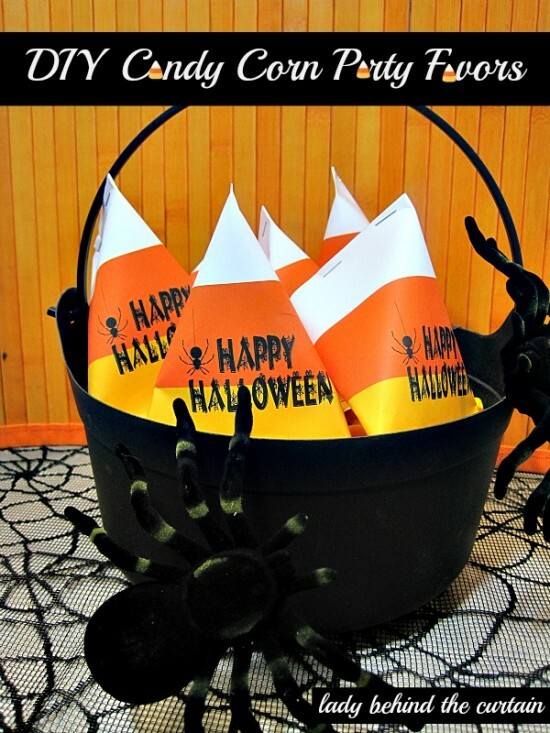 You can fill it with candy, a plastic spider ring, Dracula teeth, etc. You can visit the Lady Behind The Curtain for the free printable container template and a full tutorial on how to assemble these cute candy corn creations!